by Williams, Linda S., Hopper, Paula D.
Williams, Linda S., Hopper, Paula D.
Continuing the success of their previous books, authors Linda Williams and Paula Hopper deliver another trend-setting edition that explores and teaches the "why" of medical/surgical nursing. Complex issues are presented in a clear and easy-to-digest way that encourages LPN students to think critically while learning real world nursing care. 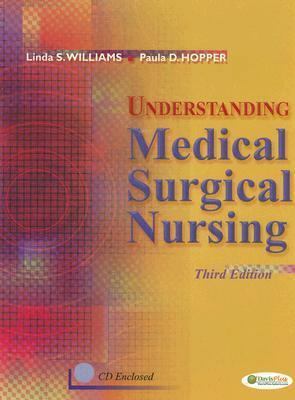 The new third edition now provides a student CD-ROM and online content.Williams, Linda S. is the author of 'Understanding Medical Surgical Nursing ', published 2007 under ISBN 9780803614918 and ISBN 0803614918.